Marta Cela is a transpersonal Psychotherapist, offering private counselling consultation to adults, adolescents and children. She has more than 7 years of full time preparation over more than 8 of full time professional experience and having created her own methodology. She offers consultations and teaches workshops, online (Skype) in Palma de Mallorca and Madrid in English and Spanish. She is specialized in the uncounscious, using therapeutic techniques such as Past Life Regressions, Akashic Records Readings, Meditations, Dream analysis, Energy Healing, and family constellations among others. Marta chooses the therapeutic techniques that best adapt to each person. Marta regularly gives family constellations workshops in Mallorca and Madrid, a Parents school and a Maternity, attachment and breeding School for pregnant women and recent mothers. She also teaches different workshops in different areas to improve others health and wellbeing and to grow personally and spiritually. She has a full time professional background experience of over 8 years where she founded Flor de Lis Center a psychotherapy and personal and spiritual growth center in Madrid and Palma de Mallorca and skype consultations online with clients all around the world. She also travels regularly to teach workshops and offer psychotherapy consultations in different cities. 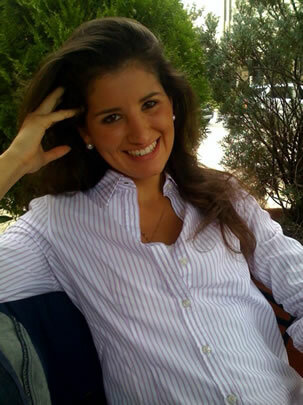 Marta Studied a Psychology degree at Pontificia de Comillas University in Madrid, and obtained a masters degree in Child and Youth Behavioural Psychology from Luria Group. She has also been trained in Jungian psychology, transpersonal psychology, systemic therapy, regressive therapy, in energetic tools and in family constellations among others. She has a professional full time preparation over more than 7 years added to the part time education received over the years combined with more than 8 years of experience working full time. The success is due to the over 16 years, that Marta is involved in her own personal development and spiritual path.